Extend the learning experience with this mobile-friendly, interactive portal. 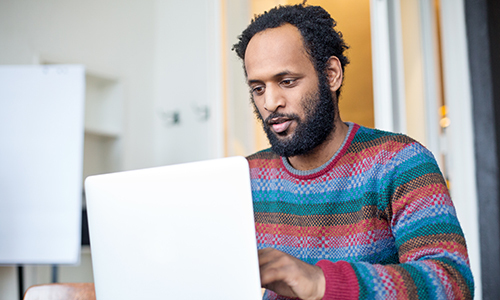 Learners have unlimited access to insights about DiSC and strategies to apply what they’ve learned to real work situations. With no limit to the number of participants included, this report gives you an at-a-glance view of a group’s individual Everything DiSC maps. "Everything DiSC is built on research and extensive testing. The profiles really help people better understand themselves and others, which generates a much more constructive and effective workplace." 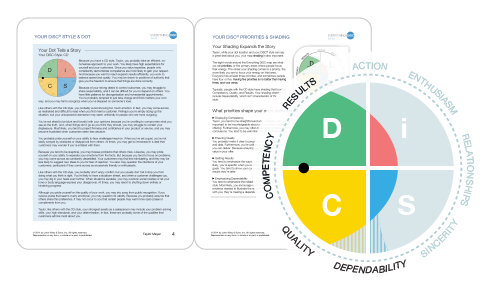 Discover how Everything DiSC Sales arms your salespeople with the tools they need to improve their effectiveness and deliver better bottom line results. 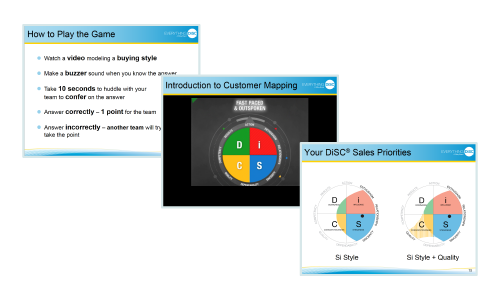 Everything DiSC Sales is available through our Authorized Partner network of consultants, trainers and coaches.